We represent employees and employers, large and small, in a range of issues and disputes, including advice and litigation concerning restrictive covenants, non-competition, non-solicitation and non-disclosure agreements, confidentiality obligations, claims for gender, race, disability and age discrimination, retaliation, sexual harassment, claims for violations of the wage and hour laws and under the Family Medical Leave Act and wage and hour claims in the state and federal courts. We have represented numerous family-owned businesses and family members operating and working in those businesses with respect to employment claims, such as minority shareholder “freeze-out” claims and claims with respect to employment rights in those businesses. We frequently advise entrepreneurs, investors and inventors as to their rights and obligations under the employment-related documents of a particular business entity or venture and litigate those matters where appropriate to do so. We also represent employers and employees in drafting and negotiating employment agreements, separation agreements and severance agreements. In 2017, we obtained a Court Order in the Superior Court enforcing a non-competition covenant beyond the geographical scope of the territory covered by the departing employee. 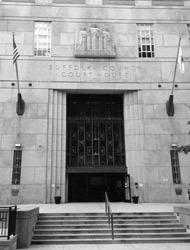 In a case of first impression in the Commonwealth, the Superior Court granted summary judgment in favor of our client, holding that the president of a corporation was not authorized to terminate the employment of an employee/manager absent approval of the Board of Directors where the Board had voted the employee into office. In the highly competitive medical device industry, we obtained in the Superior Court enforcement of a two-year restrictive covenant against a former employee more than 15 months after he had left our client’s employment. We defeated a motion for preliminary injunction in the Superior Court where a Fortune 100 company sought to prevent sales representatives from joining our client’s team. Following expedited discovery, the federal District Court enforced two-year non-competition agreements against two employees who had left our client’s employ seven months earlier with generous separation packages. We obtained summary judgment for our client in an action alleging a contract for long-term employment. We have achieved settlement of employment-related claims for numerous individual clients in the high six figures. We have negotiated employment agreements, restrictive covenants and other related documents on behalf of executives and employees in start-up ventures in the high tech, financial services, investment and biotech fields.